The largest and rarest collection of Hollywood Canteen Photos is on the hollywoodphotographs.com website. 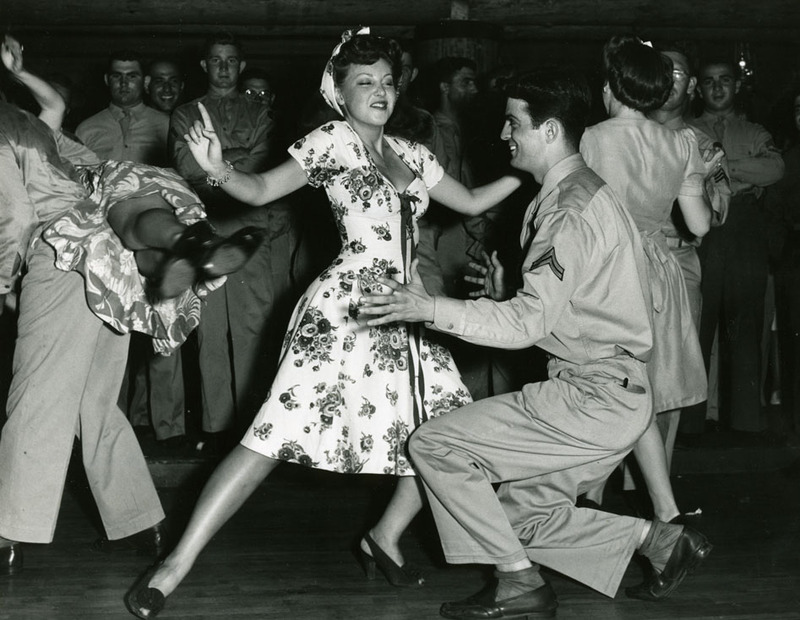 There are over 500 vintage photos of he Hollywood Canteen. Without a doubt, some of the brightest jewels in the Hollywood Canteen’s crown were its faithful hostesses. Between 150 to 200 of them were needed nightly to keep the Canteen running; it also took an exceptional person to run the hostesses. That woman was Doris Stein, “the leader of the pack.” (1) She was the wife of Jules Stein, the MCA founder who had been so helpful to Bette Davis with the Canteen startup. As the spouse of such a powerful Hollywood figure, Doris herself became an important presence in the company town. Before the opening of the Canteen, it was Doris, as head of the Hostess Committee, who sounded the call for volunteers throughout the industry, which was met with great enthusiasm. 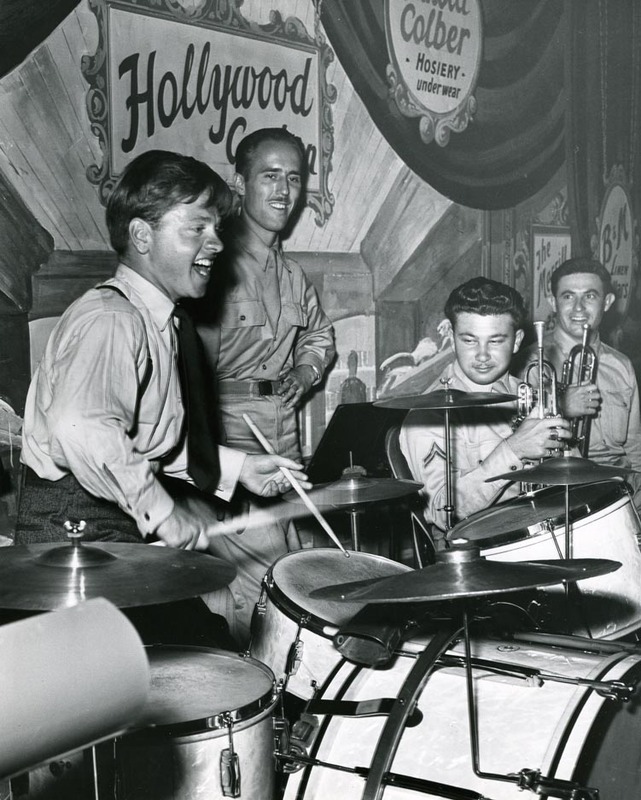 The Hollywood Canteen was turning out to be even more successful than its founders had hoped. It was reassuring to see that all the necessary elements could click in and everyone really could work together and make thousands of G.I.s very happy. There would always be challenges, of course, and each day they would be met. Two examples occurred early on: one was particularly vexing; the other became a crisis. Many Hollywood Canteen photos are on the hollywoodphotographs.com website. 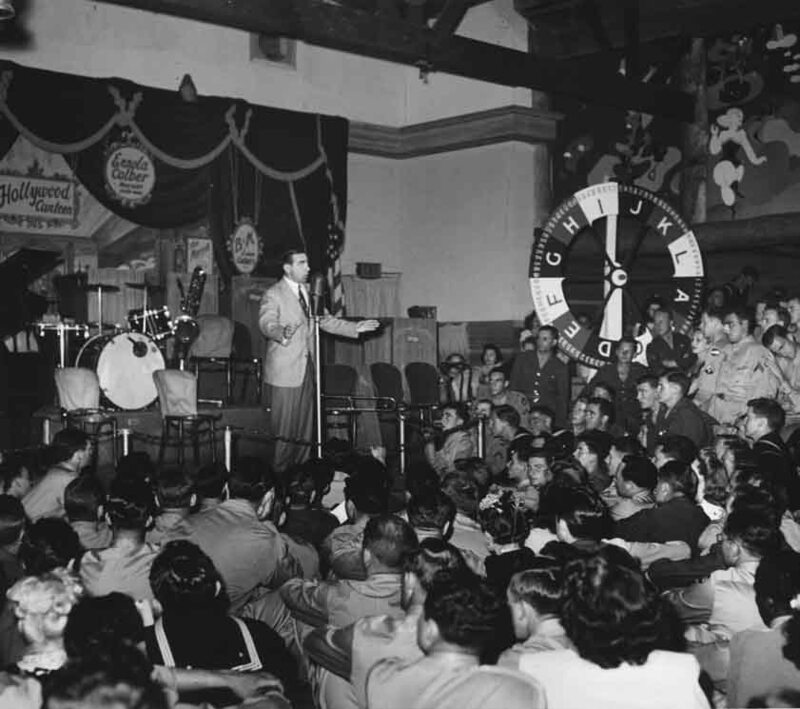 The old saying, “After ecstasy, the laundry!” certainly applied to the Hollywood Canteen as the glamour of opening night gave way to the reality of daily preparations. Efforts to get everything ready for the nightly onslaughts of over 2500 servicemen had to be as well coordinated as military maneuvers. The hollywoodphotographs.com website has the largest number of Hollywood Canteen photos in the world. Vintage Hollywood Canteen photos can be seen on the hollywoodphotographs.com website. All the photographs are available for purchase. 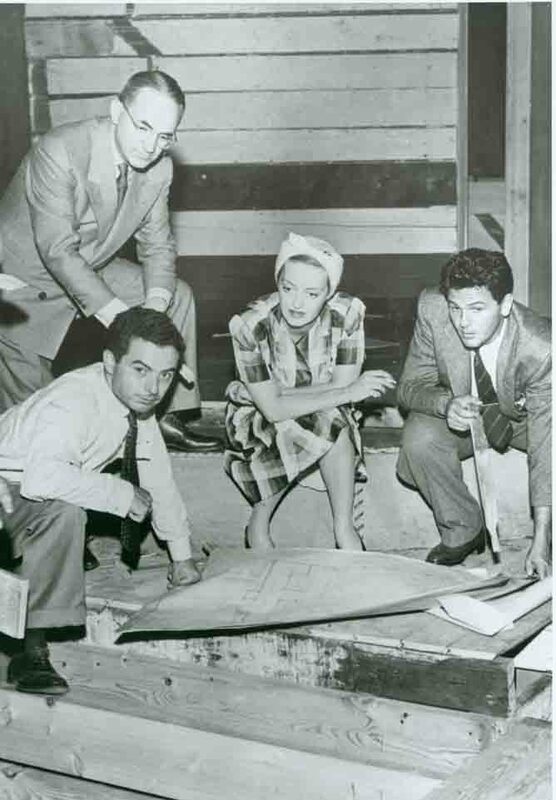 After weeks of searching for a usable Hollywood Canteen building, Bette Davis and John Garfield found a dilapidated place that had once been a barn right in the heart of Hollywood. Located at 1451 North Cahuenga Boulevard, just south of Sunset Boulevard, the structure had been a series of ill-fated nightclubs. 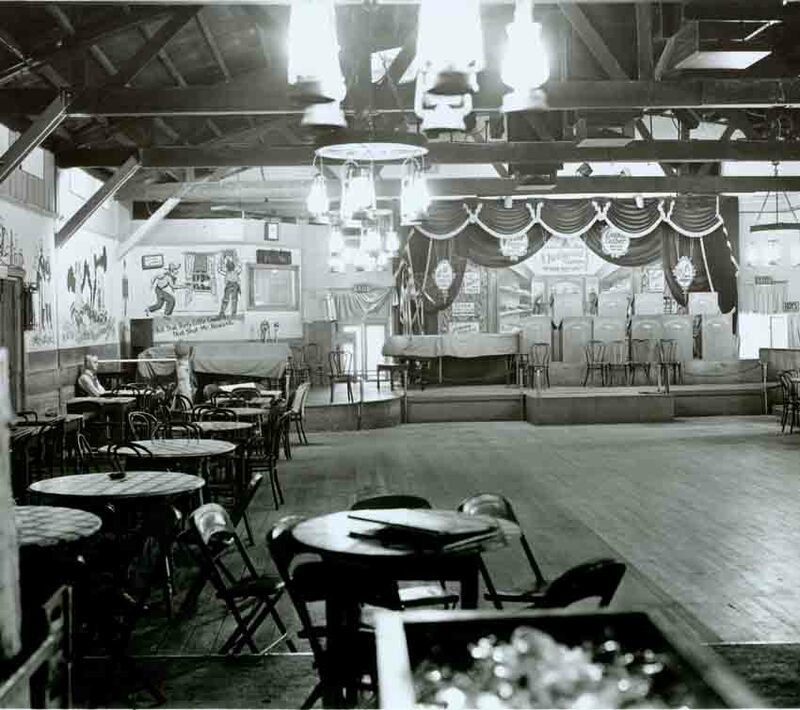 The last was a cabaret-type theater called The Red Barn, where drinks and dinners were served, followed by floor shows and stock melodramas such as Murder In the Red Barn and The Drunkard. 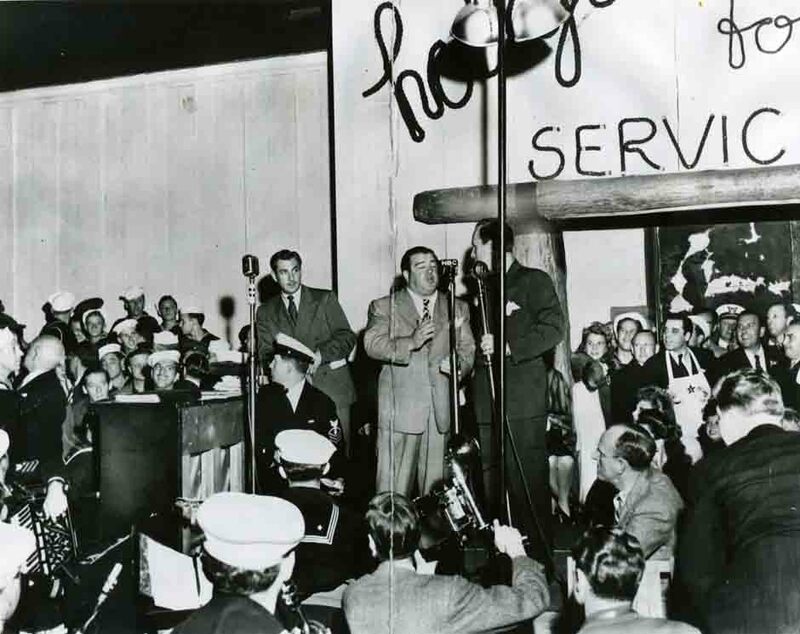 Hundreds of Hollywood Canteen photos and history is on the hollywoodphotographs.com website. All photos are available for purchase. Bette Davis and John Garfield flung themselves into the rigorous process of turning their dream into a reality. 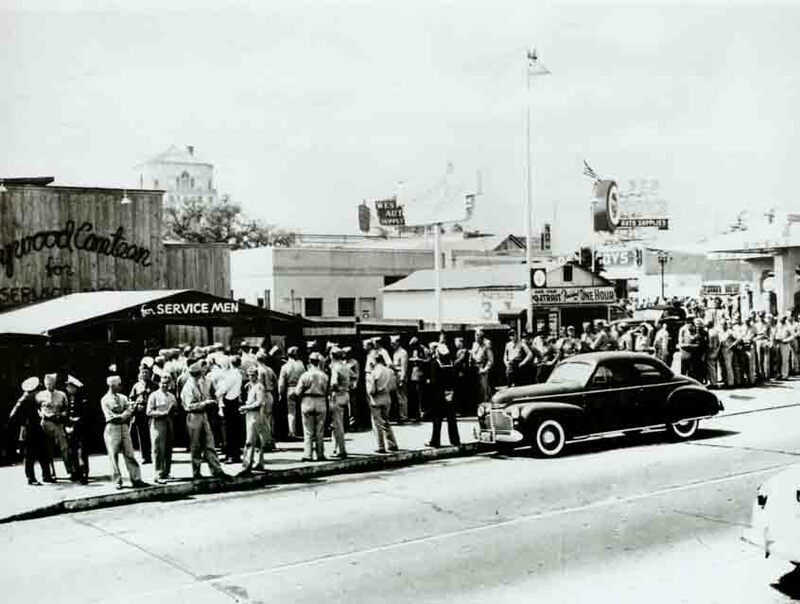 They spent weekends and eighteen-hour work days, as well as Sundays -- their one day off from the studio -- attacking the mountain of details involved in opening the Hollywood Canteen. The largest collection of Hollywood Canteen history and photos is on the hollywoodphotographs.com website. There are more than 400 vintage Hollywood Canteen photographs. 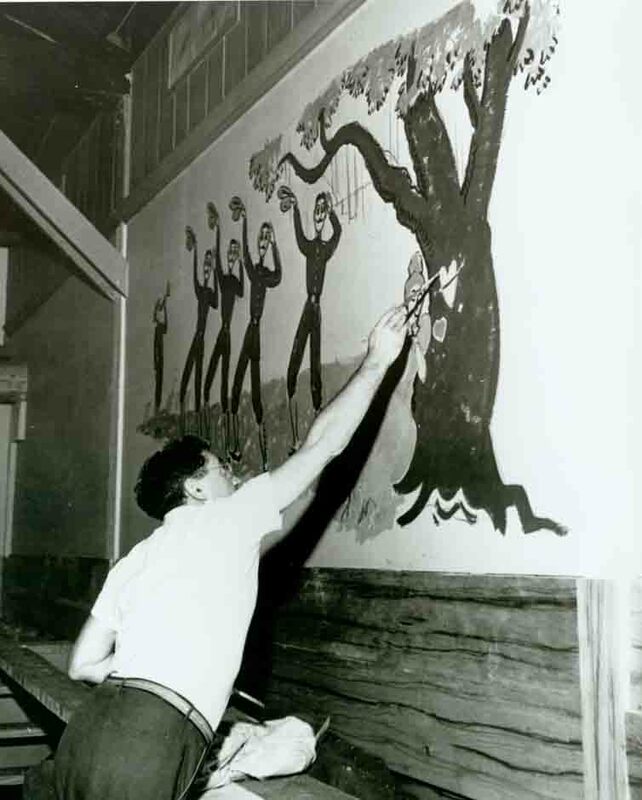 It was the first full year of America at war, and 1942 found the country dancing to “Chattanooga Choo-Choo,” listening to a new radio mystery called Suspense, and watching Walt Disney’s Bambi and Donald Gets Drafted in movie theatres. It brought shortages of metal and leather, and rationing of coffee, sugar, and gasoline. The largest collection of Hollywood Canteen photos is on the hollywoodphotographs.com website. Unquestionably, the Hollywood Canteen was Hollywood's greatest contribution to World War II. 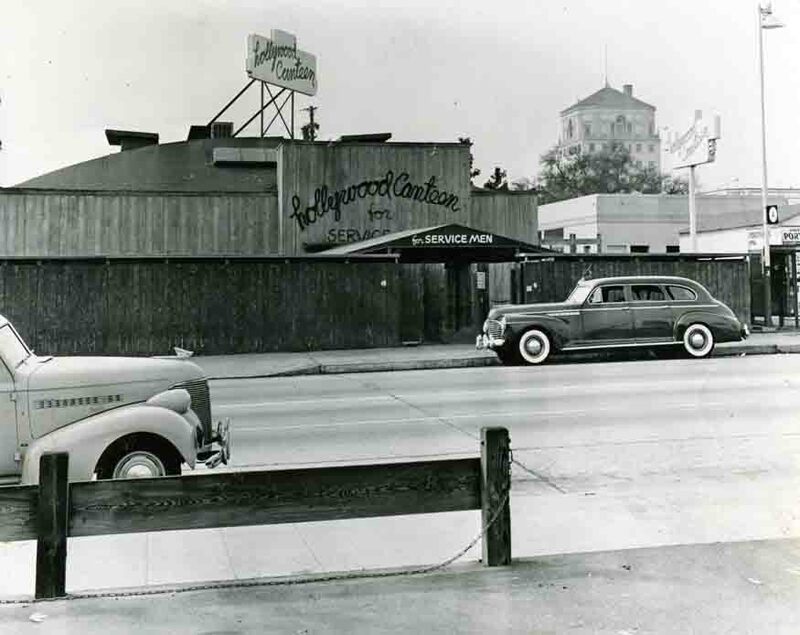 Located on Cahuenga Ave., it was founded by Bette Davis and John Garfield with the intent of providing a place for servicemen to go when in Hollywood. 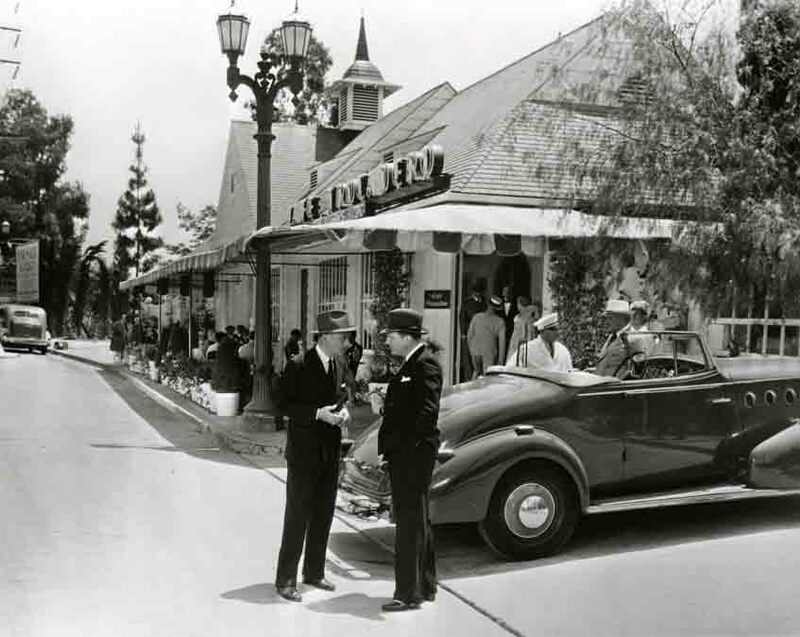 It opens its doors in October 1942 with a grand opening ceremony which included many Hollywood leaders businessman and entertainers. The only people, other than volunteers, who are allowed on to the first floor, were servicemen. Their uniform was their ticket to admission. 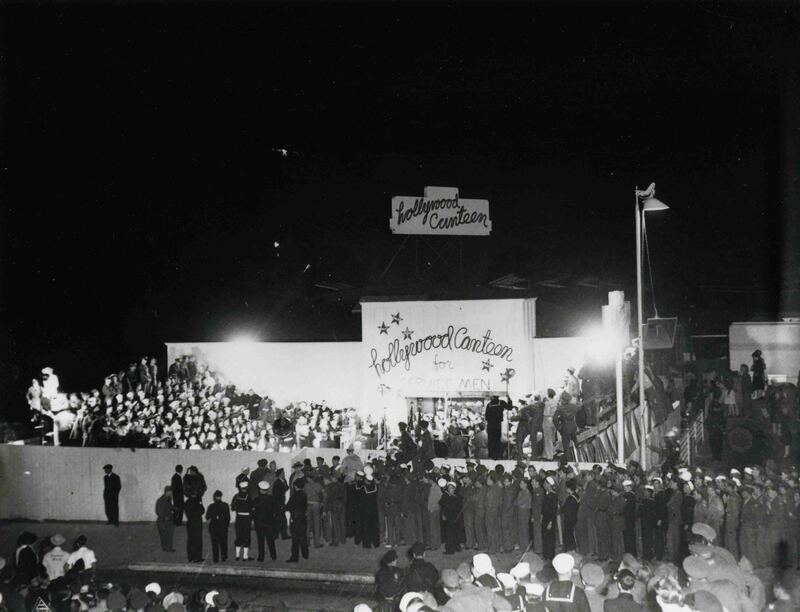 Here are some Hollywood Canteen Photographs from the hollywoodphotographs.com website. 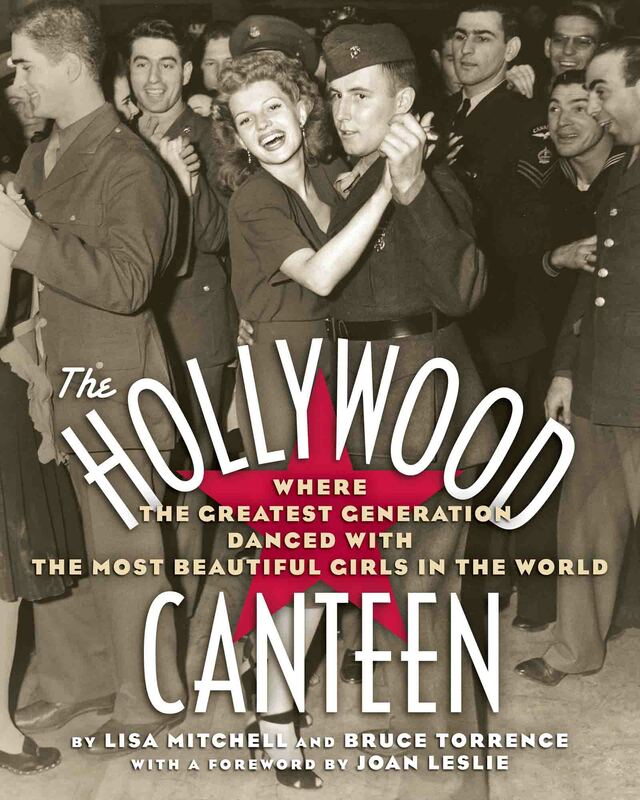 Front cover of the book, "Hollywood Canteen: Where the greatest generation danced with the most beautiful girls in the world". 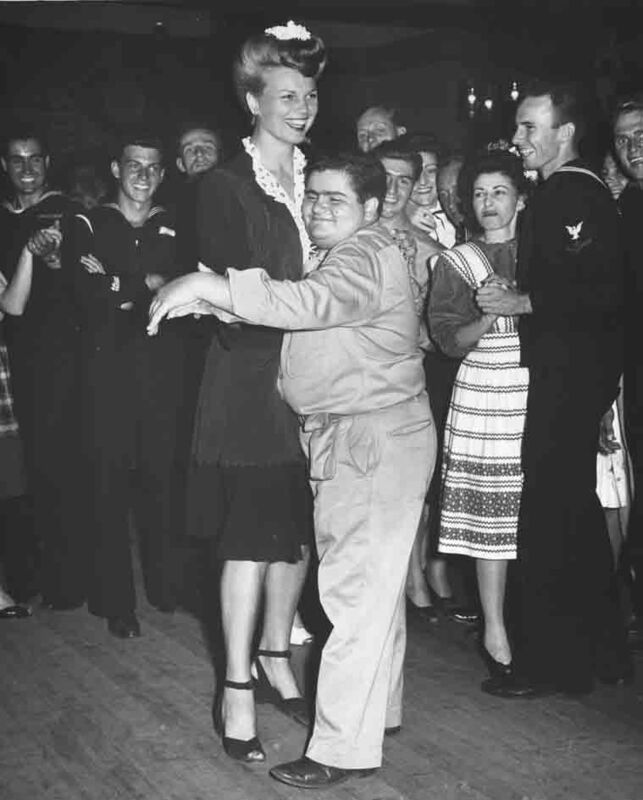 Actress, Fay McKenzie dances the jitterbug with a serviceman at the Hollywood Canteen. What Stars Will Be Here Tonight? Actresses such as Irene Dunne and Linda Darnell not only offered food and coffee, signed endless autographs and posed for countless pictures as the boys passed their cameras around, they also repeatedly answered questions about their own lives. Without a doubt, some of the brightest jewels in the Hollywood Canteen crown with a faithful hostesses. Between 150 to 200 of them were needed nightly to keep the canteen running; it also took an exceptional person to run the hostesses.